In part 1 of our Learn Solar series we explored the different factors that determine how much solar power we receive. With the help of David JC MacKay, we concluded that the sun provides an average energy (over one year) of 876 kWh/m² for flat ground, and 964 kWh/m² for south-facing roofs. But can we capture all of that energy? 1. How well our solar panels collect the sunlight and turn it to electricity. 2. How much UK land we can cover in solar panels. 3. How well we can store solar energy for periods when the sun isn't shining. In this blog, we'll look at the first two. There are two main types of solar panel: thermal and photovoltaic. Thermal panels use the sun's radiation to generate heat, normally for water. They tend to be better than photovoltaic panels at turning sunlight into energy, but they only generate heat. Heat is important, but it can't power our lights or appliances. Photovoltaic panels (or PV panels) convert sunlight into electricity, a much more versatile type of energy, but the technology has inherent efficiency limits. These limits are an effect of the way PV panels collect light, and can't easily be bypassed. Engineers are edging past 40% efficiency in the most sophisticated and expensive prototypes, but it'll be a while before these are viable alternatives to the low-cost, low-efficiency models available today. One of the most efficient domestic PV panels, the kind you'd install on your roof, operates at just 21.5% efficiency – the SunPower X21-345. If you could afford this panel, then you'd get 207 kWh/m² for a south-facing roof (964 kWh/m² x 21.5%). This means that if you're a medium usage household using 3,100 kWh per year (Ofgem, 2015), you'd need around 15 m² of those SunPower panels to cover your usage. 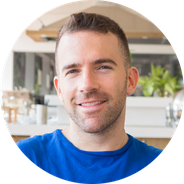 Depending on your home, budget, energy demands, and so on, you could conceivably generate enough electricity from PV panels to power your home, which is great news (assuming you could store some of that energy for nighttime use). If you're interested in installing your own solar panel, be careful to fully research which panel you purchase. Going for the most expensive won't always be the right choice, neither will just focussing on efficiencies. There are a range of models out there and your particular circumstances will determine which one is right for you. 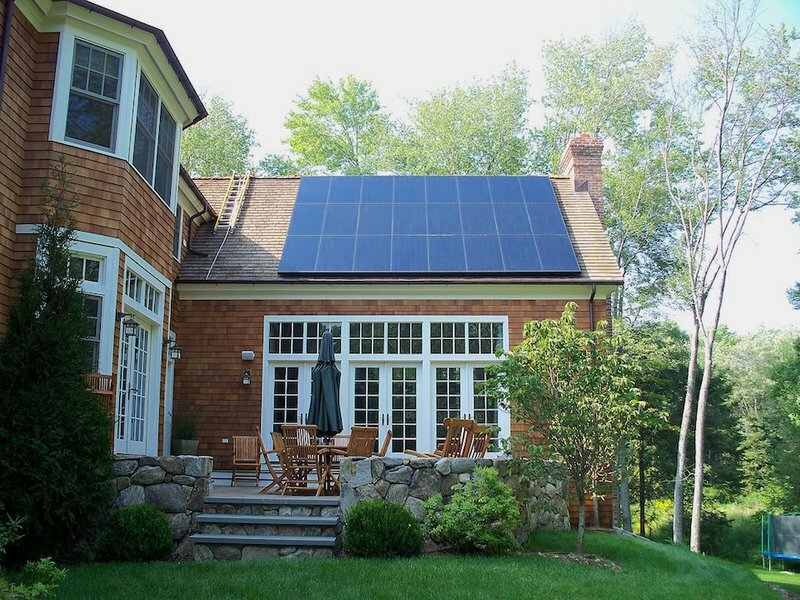 Read more about choosing, buying, and installing solar systems. Other homes will rely on solar farms – those fields of panels you sometimes see when travelling through the countryside. The panels used in solar farms are typically 10-15% efficient, given the trade-off between the efficiency of the panel, it's cost to produce (considering the large area a solar farm covers), and the total power output (and therefore income generated). We also receive a little less solar energy on flat ground (where solar farms are normally situated). Given the lower efficiency, you need a larger area – around 30 m² for a medium usage household. Our solar farm in Molland, Devon, uses 12% efficient panels, but still produces a peak output power of 5 MW over an area of just five fields – enough to power 12,000 homes. Of course, using land for solar panels raises some interesting social, economic, and environmental arguments. To those who consider them ugly, we would argue that solar farms are a much better alternative to fossil fuels, which are responsible for far worse than a divisive aesthetic. Of the UK's 10 GW solar capacity, about 75% is ground mounted and uses much less than 0.1% of our countryside. To those who believe the land should be kept for agriculture alone, we'd emphasise that we aim to use non-agricultural land – be it areas of poor soil, airfields, or even floating arrays over water. Our partner, Lightsource, built the world's biggest floating solar array in Walton-on-Thames, just outside of London. Floating arrays solve three problems: they prevent evaporation of reservoirs, have little or no environmental impact, and help panels operate efficiently by keeping them cool. Where we do use agricultural land we aim for dual usage – grazing and power generation. Solar panels built high enough can allow livestock to graze, keeping the land functional while generating green energy (not to mention offering the animals some protection from the elements). Read how Lightsource incorporates solar into working farms. 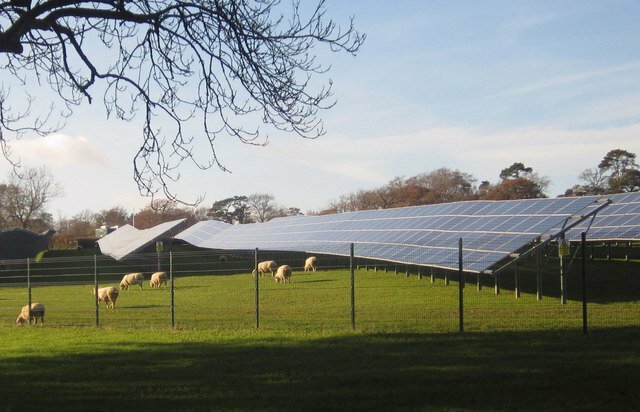 Sheep grazing beneath solar panels. © Copyright Derek Harper and licensed for reuse under this Creative Commons Licence. Indian scientists have gone a step further and created a "solar tree" – a structure that places its panels on branch-like arms at different heights. The prototype uses an area of just 4 m² instead of the 400 m² a traditional array would need. You can see the solar tree in the video below. Although in its early stages, this is just one of the ways innovation can minimise the impact of solar panels where land is precious. As solar panel technology improves, it gets cheaper. The cheaper it gets, the faster governments and energy industries will move away from fossil fuels – which, as we all know, is the ultimate goal. 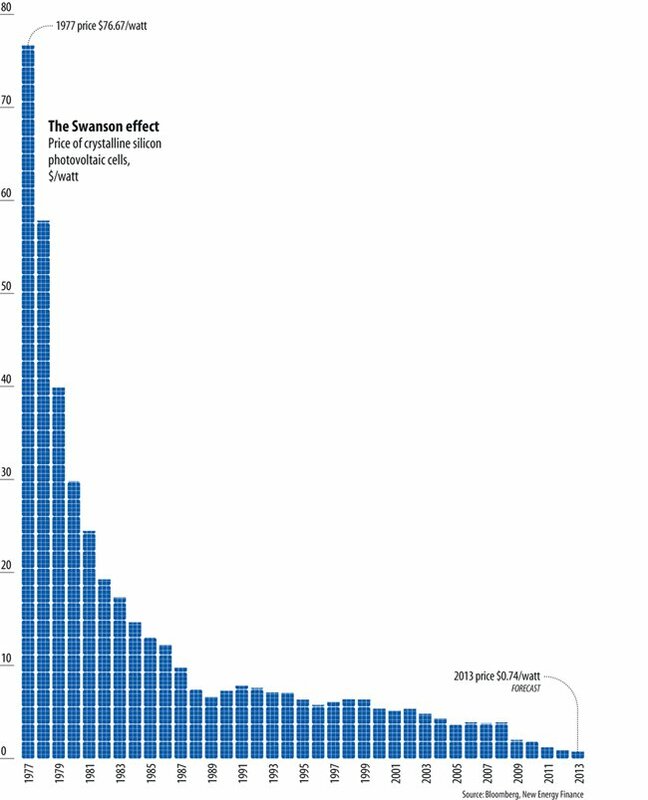 These graphs of cost per watt of solar in the US echo the worldwide trend towards cheaper solar energy, and demonstrate just how cheap this renewable energy is becoming. There's a sharp drop in the price per watt of solar, and the most recent price puts this at just $0.22 per watt of solar (August 2016). This is about 16p per watt at today's conversion rates. 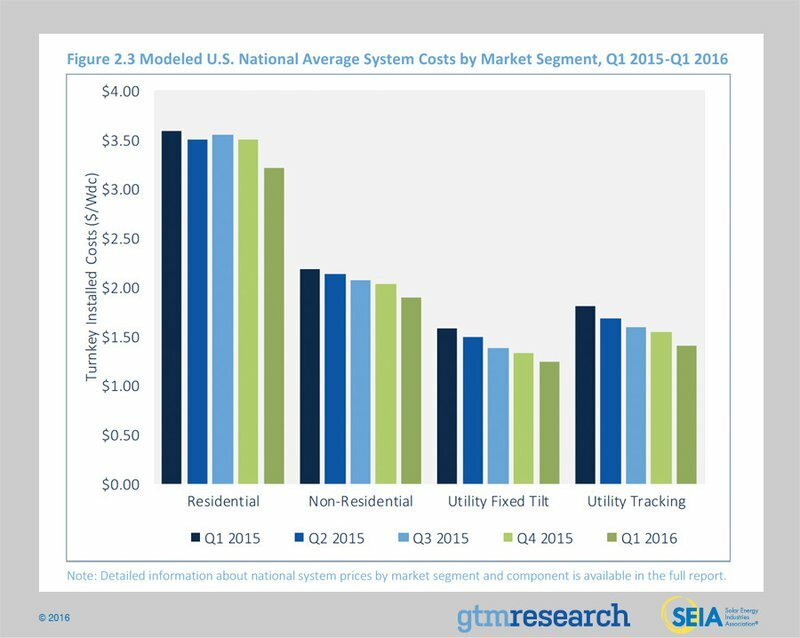 Again, you can see a clear price drop across all types of installed solar. Solar is in the interest of everyone, so it'll be paid, to varying degrees, by both private and public investment. Neither one on its own would be sufficient for speedy development and implementation, which is what we need if we're to reverse our reliance on fossil fuels. But the real challenge with solar power isn't so much the efficiency of the panels, how much they cost, or where to put them, but how to store the energy for when the sun isn't shining. Check out the third and final part of our Learn Solar series, where we examine the different ways to store solar energy.